Sadly, 2016 GP2 champion Pierre Gasly—the driver replacing Daniil Kvyat at Toro Rosso for the rest of the Formula One season—won’t be racing anything this weekend. 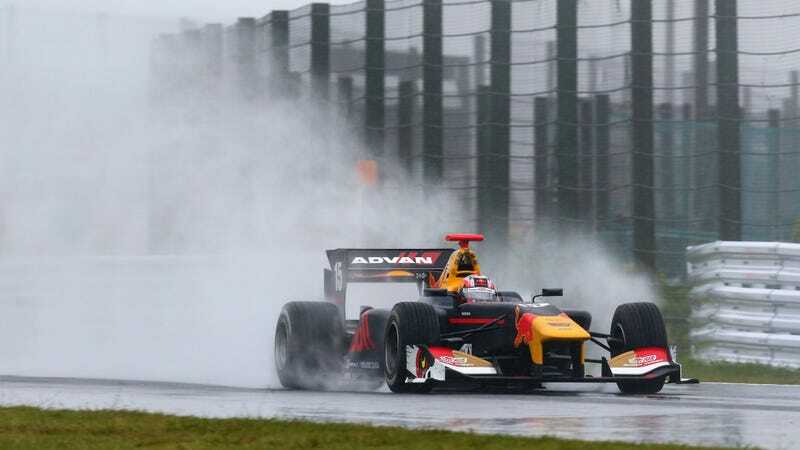 Gasly missed the F1 United States Grand Prix to wrap up his Super Formula season in Suzuka, but NBC Sports reports that the Suzuka race was canceled due to a typhoon. Gasly was only half a point behind Super Formula championship leader Hiroaki Ishiura going into this race, so Honda and Red Bull both decided to let him go to the Suzuka season finale. If Gasly had been able to jump ahead of Ishiura in the points at Suzuka, he would have become the first rookie Super Formula champion in over 20 years, per NBC Sports. That’s certainly worth missing an F1 race for if it had happened, but unfortunately, Suzuka was in the path of a typhoon and the season finale was called off after a rain-affected qualifying round. Super Formula won’t be rescheduling the race, so Ishiura was declared the champion. At the moment I’m disappointed because I wanted to race and wanted to fight and it’s not gonna happen. So it’s just a bit hard to accept now, but that’s how it is. I think one of the things I’ve learnt today is that some things you can’t really control. To lose the championship by half a point is something really tough. Gasly will return to F1 next week for the Mexican Grand Prix, but there’s nothing worse than being that close to a championship win.